You may remember seeing her crochet work on Day 2. She makes jewelry also. I am a retired Special Agent that worked for the US Army as a civilian doing computer forensics. I worked abroad in Europe, as well as in combat zones. While I was in Kosovo in 2003 I got arsenic poisoning (we're not sure exactly how) and I spent 40 + days in military hospitals while they tried to figure out what was wrong. The Arsenic caused a rare disorder in my bladder, pain all over and my digestive system stopped completely. At the end of it, I ended up with a bum bladder and Fibromyalgia. I worked for 5 more years with these injuries and then finally in 2008 my Fibro and other problems had progressed so much that I was too ill to continue working. I couldn't even drive a car by the time I stopped because my hands hurt too much to hold the wheel! We relocated to California from where we were living in Virginia and I began the long process of coming to terms with a total halt in a high speed career, and fought for my Social Security Disability and Worker's Compensation. I felt very much like I was living in a cocoon for about 2 years, and then in 2009, shortly after winning my fight with Social Security, I got pregnant! This was great news, since we'd been trying for a second child for about 7 years. I had my second daughter (Rowan) in July of 2010. I know some people get the baby blues but for me it was totally the opposite. I felt like I blossomed. I was back in the world and ready to do things that I'd wished I could do all of that time while I was in that demanding career track! 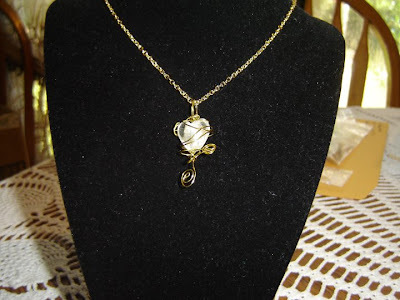 I began taking Jewelry classes and discovered that I had quite a knack for it, and had a great time making it. I also got serious about my crochet and have made a few really neat things, including a shawl which was included in an exhibit in Arcata, California. I hope that you enjoy my work. My goal is to bring joy to myself and others, and to show other people with Fibromyalgia that there is a light at the end of the tunnel. There is a way to balance those meds and slow the pain down, and get some functionality in your life back! Not every day is pain free for me, but I've come a long way since 2008. Best of all, I have met a lot of new friends, some of whom have fibro too, but all of them are very suppportive and understanding. Antiquarian Boutique began after attending costumed events in the SCA and conventions. I have created my dream shop in supplying quality items to accessorize those costumes or even for everyday wear. Antiquarian Boutique was founded with the Steampunk, Medieval-Victorian, costuming, and Gothic communities in mind, but since then I have incorporated period medieval pieces for the SCA, hair accessories, and metaphysical gemstone healing necklaces. I also have a specialty jewelry shop, DiagonAlly92, that has Harry Potter themed jewelry. I welcome any custom requests and have completed many of them. I'm a stay-at-home mom of two boys and I live in Montreal, Quebec. 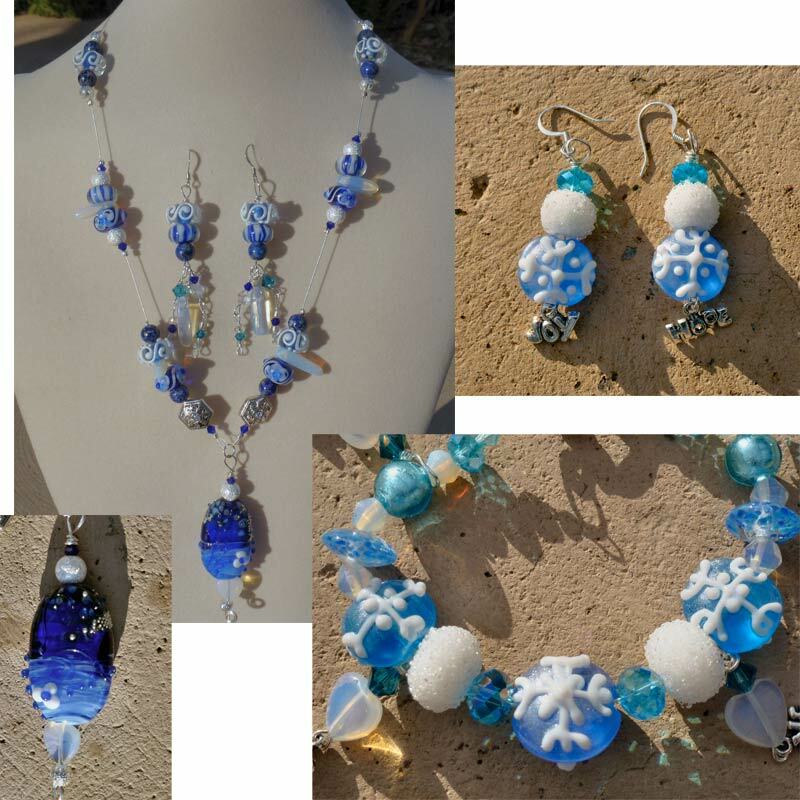 My handcrafted artisan jewellery features Artisan Lampwork beads made by talented glass artists, high quality genuine gemstones, freshwater pearls and Swarovski crystals. All the silver components used in my jewelry are sterling silver (.925) or higher (.999) fine silver. I love to incorporate Bali and Karen Hill Tribe beads and findings. I make unique, quality, fairly priced jewelry. Some techniques I use off-loom bead weaving, wire wrapping, stringing, hammering, macrame, embroidery, cold connections, and some torching. I up-cycle as much as possible, including copper and aluminum wire, old jewelry components, and shipping materials in good condition. 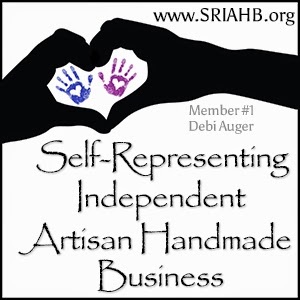 I also make awareness jewelry and donate a percentage to the AARDA (American Autoimmune Related Diseases Association), Avon walk for breast cancer, American Cancer Society, and NAMI (National Alliance on Mental Illness). 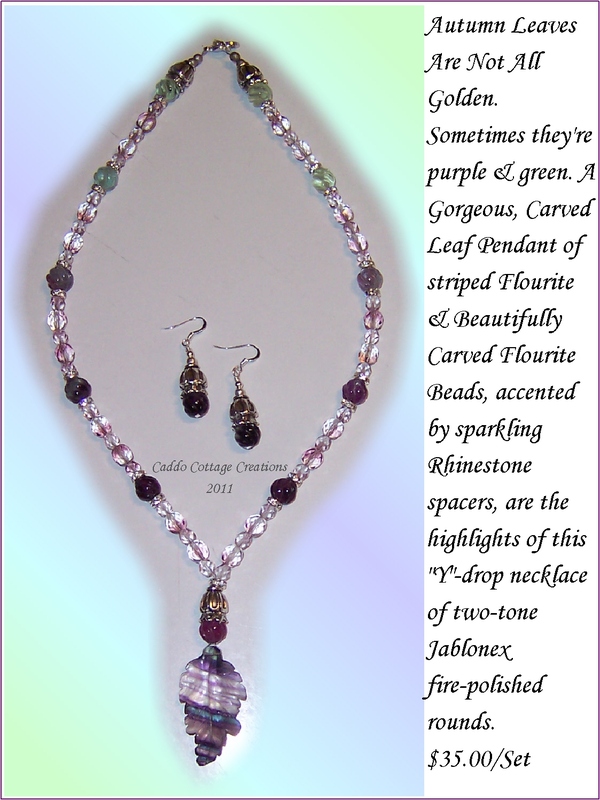 I enjoy creating beautiful handmade jewelry for less. I started making earrings several years ago when I found out that my daughter could not wear anything that was not nickel free. Any time metal is in contact with her skin, she'll break out in a rash and itch. At the time she wanted to start wearing jewelry we couldn't really find much she could wear; so I started making earrings for her with nickel free hooks. 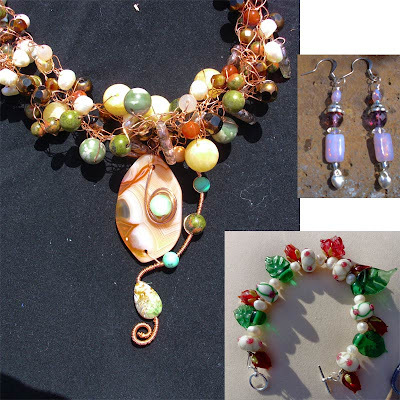 When I started making jewelry I knew I found my creative outlet! I loved it! I started showing people I worked with what I had made and started getting requests. I have enjoyed it ever since. I am the woman behind Caddo Cottage Creations. Caddo Cottage Creations is a home-based "Cottage Industry", located in Texas. 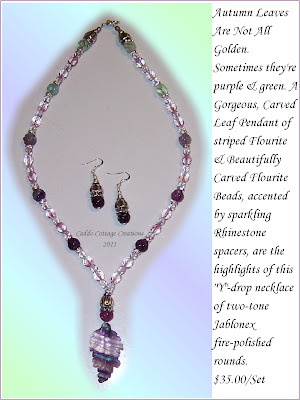 I specialize in One-of-A-Kind, Hand-crafted, Beaded Jewelry. I've just started exploring the world of wire-wrapped jewelry making as well. 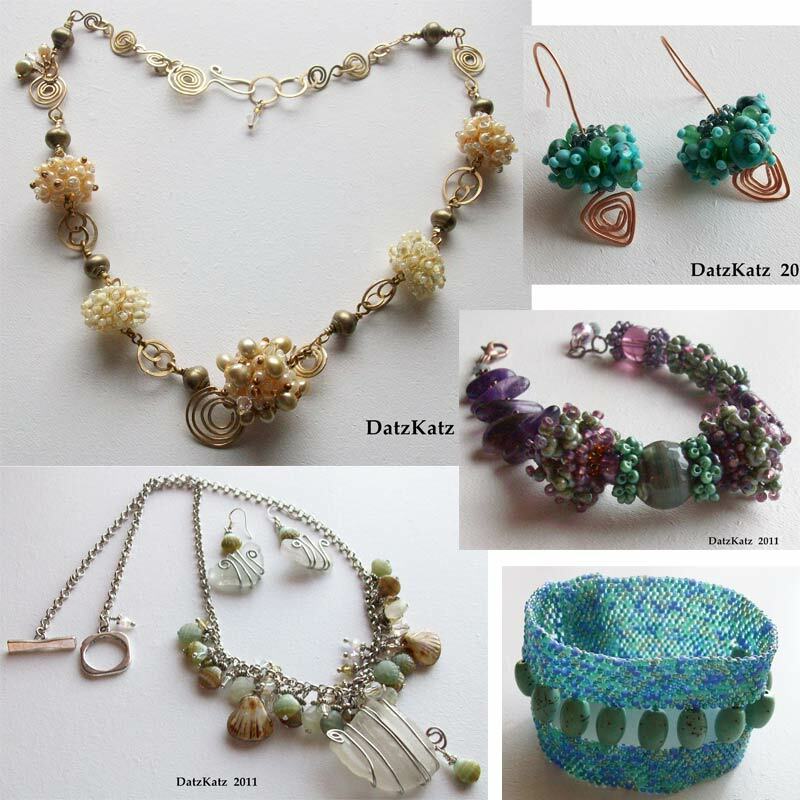 Hi, my name is Debra and I am the person behind DatzKatz Creations. I started making jewelry about 20 months ago. 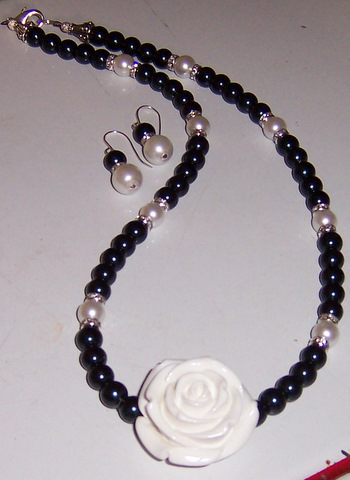 I have always been somewhat artistic and making jewelry is quickly becoming a passion. In mid January of this year I decided to teach myself how to bead weave and an addiction was born. As far as I can tell I am a "bead junkie" ...just can't get enough of these little round things with holes in them. 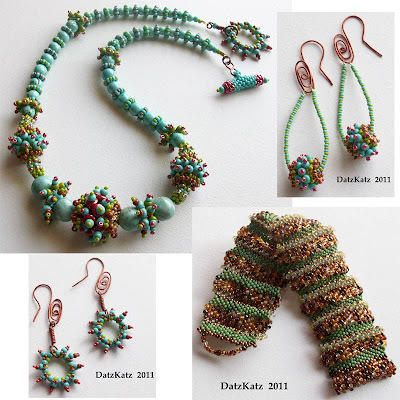 I am always facinated by all the many things I can do with seed beads and well, all beads. I also like to make beads with polymer clay and want to expand on this in 2012. Tomorrow is a holiday here in the USA and I didn't think it would be fair to feature anyone on a holiday, but don't you worry... if you take the time to visit I have some special things to show you. And we'll pick up with more new artisans on Friday. I got to be in the same with Datz Katz! She's one of my favorites!! Everything looks awesome in this stroll tonight from all of the artists! Thank You so much for the privilege of being part of this wonderful event...I love all the things I've seen thus far; so many talented designers and artists, I'm honored to be included. WOW!! Gorgeous work by these talented designers!! So happy you're enjoying this event. 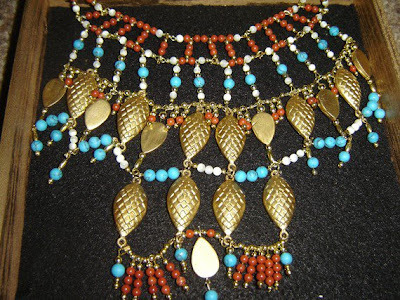 Isn't it just amazing all the different styles of jewelry we can come up with? Gorgeous work. Thank you everyone for supporting all the artisans every day :) I'm going to have alot on my wish list :o Have you started yours?